If your child has been diagnosed with ADHD or Attention Deficit Hyperactivity Disorder, your health provider may have suggested a range of treatment options to help control the symptoms of ADHD. These might include behavioural therapy, drug therapy and a range of dietary changes, such as the exclusion of all caffeine and food additives from the daily diet. Drug treatment usually accompanies behavioural approaches. However, the mere idea of medicating a child with a stimulant drug is a difficult subject for any parent to consider, let alone agree to. So what are the options that are currently available in the UK, and what can you expect? The principle of medicating a child or adult with ADHD is to help control the symptoms associated with the disorder, so that their ability to pay attention is improved, and hyperactive, impulsive or aggressive behaviours are reduced. The main goal is to help a child or adult work to their potential and 'get on' with those around them, so that their behaviour and self-esteem is improved and they can form and maintain healthy friendships and relationships. There are essentially three types of prescription medicine that could be offered to a child or adult. Stimulant medications like methylphenidate and dexedrine have been given to children with ADHD for over 30 years, but Strattera is a new addition which only got its drug licence in 2004, so there is slightly less practical experience with using this drug. All of these medicines work by affecting the levels of special transmitter chemicals in the brain called noradrenaline and dopamine. Both of these chemicals are involved in controlling the brain functions which affect our capability to pay attention and concentrate on a problem. These chemicals also play a part in controlling our 'executive functions' which stop us acting impulsively and reacting to situations without thinking. The prefrontal cortex of the brain is under active in a person with ADHD, and so medication is designed to stimulate this area of the brain and bring it back in chemical balance, controlling the symptoms of ADHD. Unfortunately, everyone is different and not all medicines work for all people, and they won't always work in the same way. For a start, it has to be remembered that medication isn't a cure; it can only help to alleviate the symptoms of ADHD. After starting medication, some people will see a rapid initial improvement with slower progress after a few months. Others will see a gradual improvement that develops over time. A third group may see little or no benefit; in these circumstances, the diagnosis may need to be questioned as there are many other conditions that can be misdiagnosed as ADHD. How Long Must Medication be Taken For? The advantage of medication is that it stimulates an under active area of the brain, so that symptoms of hyperactivity and impulsiveness and an inability to pay attention can be helped. If a child or adult responds positively to medication it makes it easier for behavioural therapy to help the brain 'learn' new patterns of behaviour. For people who respond well to medication, it is generally recommended that drug treatment is stopped after a year to see how the underlying behaviours have improved. It may be necessary to restart the medication, but a lower dose might be possible. If there is no difference at all between behaviour with or without the medication, then there is no justification to continue it and it should be stopped immediately. For children, the symptoms of ADHD can lessen over time. If sufficient improvements in behaviour have not already been seen in the intervening years, it may be possible to stop medication permanently once a child reaches puberty. However, for some more severely affected individuals it may be necessary to continue with medication for many years, or for life. With stimulant drugs, the most common problems are a reduction in appetite and a difficulty in getting to sleep. Very often these problems may disappear after the medicine has been taken for a few weeks, but in some people it may be necessary to reduce the dosage. 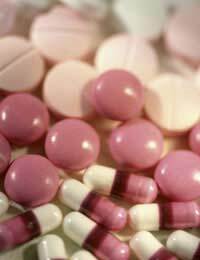 The drug atomoxetine is known to cause stomach aches in some people. A health provider will keep a close eye on heart rate and blood pressure, to make sure that these are not increased to unhealthy levels. Where a side effect is a problem, it can often be resolved by reducing the dosage level.